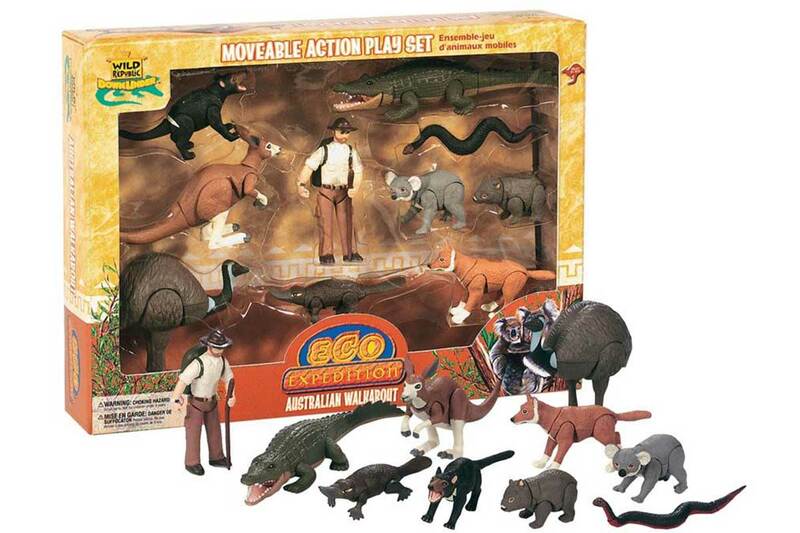 10 piece set of Australian native animals and your own Ranger to go walkabout with! Are you ready for an adventure? Head out with your Ranger on your own Aussie Eco-Expedition! Going on a 'Walkabout’ is not an aimless wandering, but it is a deliberate - focused journey that connects Aboriginal people to the lands and spiritual obligations. An Aboriginal person who is on ‘walkabout’ connects with their spiritual obligations the songlines or pathways that were formed by their ancestors at the beginning of time. These songlines crisscross all over Australia and connect waterholes, food sources, landmarks and shelters.